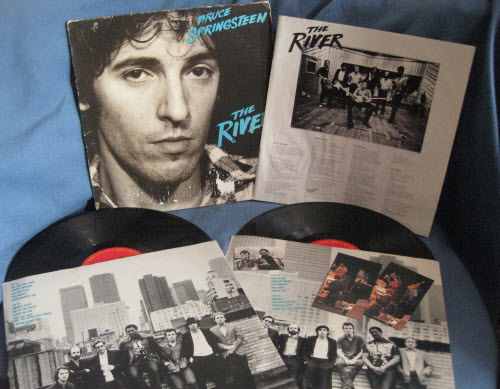 The River is the fifth studio album (a double album) by Bruce Springsteen, released in 1980. 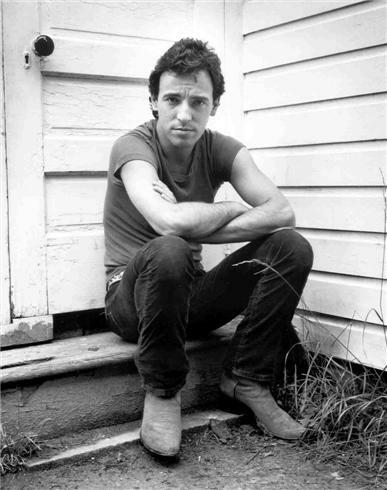 The sources of The River go back into earlier parts of Springsteen’s recording career. “Independence Day”, “Point Blank”, “The Ties That Bind”, “Ramrod”, and “Sherry Darling” were leftovers from his previous album, Darkness on the Edge of Town, and had been featured on that 1978 tour, as had parts of “Drive All Night” as a long interpolation within “Backstreets”.”The River” had premiered at the September 1979 Musicians United for Safe Energy (MUSE) concerts, gaining a featured spot in the subsequent documentary No Nukes. [The River] was a record that was sort of the gateway to a lot of my future writing. It was a record we made after Darkness on the Edge of Town. It was a record made during a recession – hard times in the States. Its title song is a song I wrote for my brother-in-law and sister. My brother-in-law was in the construction industry, lost his job and had to struggle very hard back in the late 70s, like so many people are doing today. It was a record where I first started to tackle men and women and families and marriage. There were certain songs on it that led to complete records later on: “The River” sort of went to the writing on Nebraska, “Stolen Car” went to the writing on Tunnel of Love. 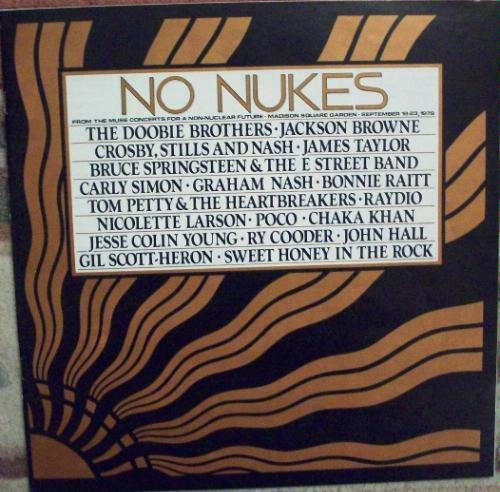 Originally it was a single record. I handed it in with just one record and I took it back because I didn’t feel it was big enough. I wanted to capture the themes I had been writing about on Darkness. I wanted to keep those characters with me and at the same time added music that made our live shows so much fun and joy for our audience. So in the end, we’re gonna take you down to The River tonight. Side One: 1. “The Ties That Bind” 2. “Cindy” 3. “Hungry Heart” 4. “Stolen Car” 5. “Be True”. Side Two: 1. “The River” 2. “You Can Look (But Don’t Touch)” 3. “The Price You Pay” 4. “I Wanna Marry You” 5. “Loose Ends”. 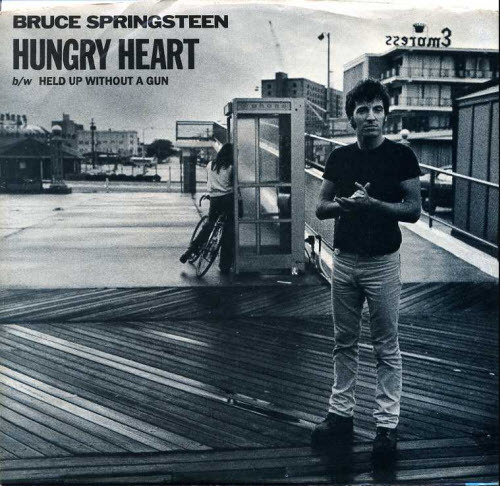 “Hungry Heart” was Springsteen’s first U.S. pop singles chart top ten hit single, reaching #5. 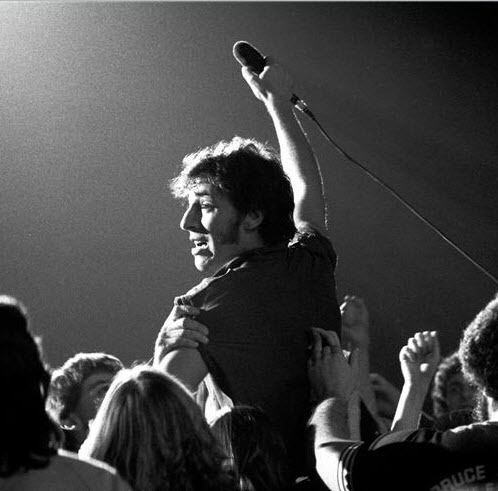 (Springsteen had not intended the song to be for himself, having initially written it for The Ramones; manager/producer Jon Landau convinced Springsteen to keep the song for himself.) 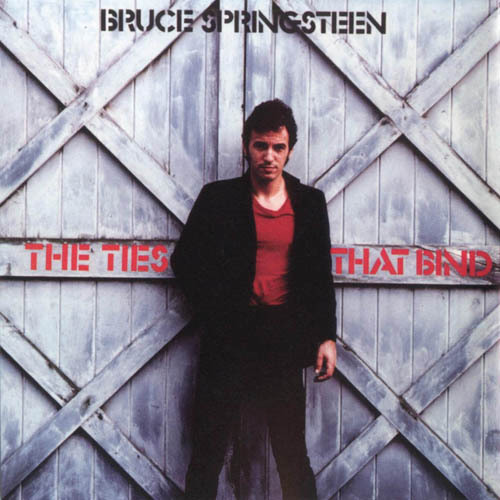 The album hit number one on the U.S. pop albums chart, a first for Springsteen, and sold 1.6 million copies in the U.S. between its release and Christmas. Sales faltered with “Fade Away”, which only reached #20. The album was followed by a lengthy tour of North America and Western Europe during 1980 and 1981. 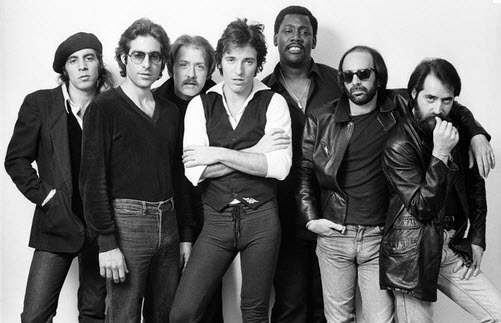 Several of the album’s up-tempo rockers became concert staples for decades to come, including “Cadillac Ranch”, “Ramrod”, and “Out in the Street”, as did “Two Hearts” (with Steven Van Zandt acting as the second ‘heart’). “Stolen Car” and “Wreck on the Highway”, the closing tracks on the original LP’s sides three and four, bore quiet, haunted arrangements that presaged much of the musical direction Springsteen would take in the future. “Point Blank” took its title from a 1967 movie starring Lee Marvin. 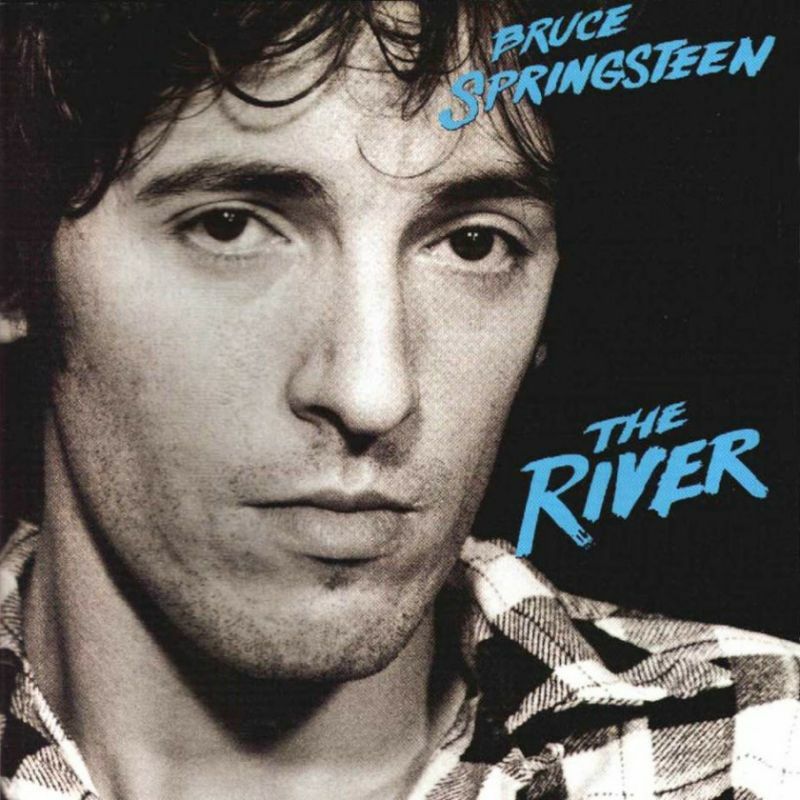 Since its release, The River has been certified quintuple platinum by the RIAA in the U.S., making it one of Springsteen’s best-selling albums. 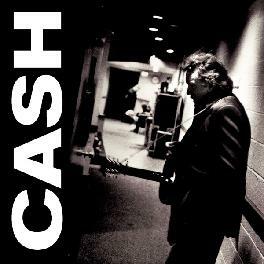 In 2003, the album was ranked number 250 on Rolling Stone‘s list of the 500 greatest albums of all time. “Drive All Night” and “Stolen Car” played a key role in setting the tone of the 1997 film Cop Land. “Drive All Night” and “Out in the Street” were used in the 2007 film Reign Over Me, and the album was mentioned multiple times throughout the movie. On November 8, 2009, near the end of the Working on a Dream Tour, Springsteen and the E Street Band performed The River in its entirety for the first time at Madison Square Garden in New York City. 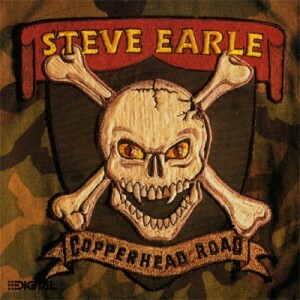 Copperhead Road is anAmericanalternative country/country rock album released in 1988 by Steve Earle. Often referred to as Earle’s first “rock record”, Earle himself calls it the world’s first blend of heavy metal and bluegrass, while in their January 26, 1989 review of the album Rolling Stone suggested the style be known as “power twang”. 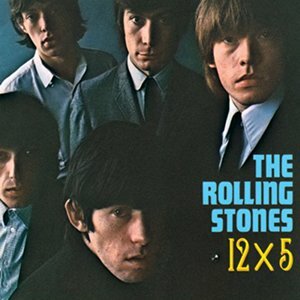 12 X 5 is the second American album by The Rolling Stones, released in 1964 following the massive success of their debut The Rolling Stones in the UK and the promising sales of its American substitute, The Rolling Stones (England’s Newest Hit Makers), sometimes title as England’s Newest Hit Makers or just The Rolling Stones. Alan Eugene Jackson (born October 17, 1958) is an American country music singer, known for blending traditional honky tonk and mainstream country sounds and penning many of his own hits. He has recorded 14 studio albums, three Greatest Hits albums, two Christmas albums, one Gospel album and several compilations, all on the Arista Nashville label. More than 50 of his singles have appeared on Billboard’s list of the “Top 30 Country Songs”. Of Jackson’s entries, 35 were number-one hits, with 50 in the Top 10. He is the recipient of 2 Grammys, 16 CMA Awards, 17 ACM Awards and nominee of multiple other awards. He is a member of the Grand Ole Opry, and was inducted into the Georgia Music Hall of Fame in 2001. Jackson has sold more than 60 million records worldwide. Marshall Bruce Mathers III (born October 17, 1972), better known by his stage name Eminem (often stylized as EMINƎM) and by his alter ego Slim Shady, is an American rapper, record producer, songwriter and actor. Eminem’s popularity brought his group, D12, to mainstream recognition. In addition to being a member of D12, Eminem is also one half of the hip hop duo Bad Meets Evil, withRoyce da 5’9″. Eminem is one of the best-selling artists in the world and is the best selling artist of the 2000s (decade). He has been listed and ranked as one of the greatest artists of all time by many magazines including the Rolling Stone magazine which has ranked him 82nd on its list of The 100 Greatest Artists of All Time.